A loss of data may occur in any given number of situations: hardware may fail, software patches may tear a database to shambles, or the carelessness of an employee may ruin months of work. The list goes on and on. So losing data is easy, but how about restoring it? Sure, businesses run regular backups or so they should. But the pivotal question remains: how quickly can you find and restore the data you need, when you have to? The truth is recovering lost data is mostly like looking for a needle in a haystack. And even if you find it, you may have reason to worry about what happens when you restore a backed up file. Since most backup solutions apply compression technologies to shrink the file size and speed up the entire backup process, it is legitimate to wonder what to do if that compressed data lump just will not turn into the “beautiful” file it used to be. It is evident that it should to be running smoothly in the background based on an automated schedule so that everyone else can take care of their primary concerns. Naturally, the whole backup issue remains one of these annoying jobs, which many users tend to push towards the end of their regular to-do lists. At the enterprise level, most organizations have a disaster recovery plan or a business continuity strategy in place, which not only safeguards their data, but also lets them get back on track in no time because they can restore settings, profiles, and files. Small and medium sized businesses are a different story: They simply do not always have the resources to guarantee a smooth backup. Not only does it require costly software and hardware, it also depends upon knowledgeable staff to perform the backup jobs and maintain the infrastructure. Obviously, secure backup processes hinge on the selection of the location. While storing the backup onsite may seem like the next best thing to do, it is not. Because this would-be benefit quickly becomes useless when a disaster not only wipes out the site, but the data backup along with it. This is why a backup should to be stored offsite. But backing up data offsite means that it may be difficult to restore for it is definitely out of the user’s reach. But can any solution strike a better balance? The cloud certainly meets these requirements. So why not use the cloud? At any rate, the backup should to be protected from unauthorized access. So wherever the data ends up, it must be safe. That is not negotiable. Yet how can anyone ensure safety? When a third party is concerned, it usually boils down to a promise. However, promises can be broken. This is why TeamViewer designed airbackup, a cloud based backup solution, which is secure, fast, and easy to use even for unexperienced users. airbackup provides the right kind of answers for businesses looking to eliminate the traditional backup hassle. It makes smart use of the cloud, yet it runs locally for the most part, as it only uses the cloud to store the backed up data. Take the encryption for instance: users generate their own key during the installation routine to encrypt the data on their local machine in AES 256 bit. 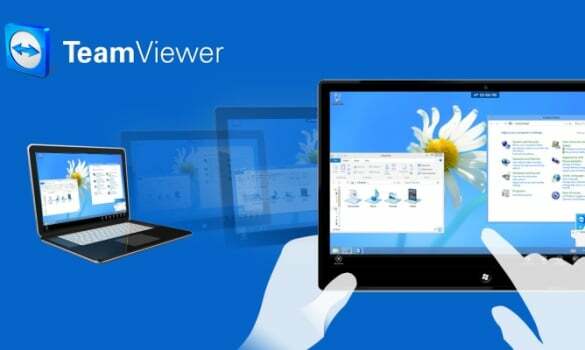 Without this key, no one other than them can access, read, or edit the data – and that is including the airbackup professionals at TeamViewer. This makes the key something to keep in a safe place because without it the backed up data is useless. airbackup offers a rich set of functionalities, which let users automate and customize their backup client. In combination with the airbackup Manager, airbackup offers users the ability to centrally manage and group all devices of their organization in one console. airbackup comes with a superior deduplication technology and the BackupBoost that make it considerably faster and allow for maximum compression. While an incremental backup approach is the basis for the BackupBoost, its true character may be best summarized as synthetic. airbackup performs only one full backup and subsequently runs delta backups on the block level. Figuratively speaking, the software fills the tiny gaps that occur because the data is edited. However, there is no need to clumsily combine the last delta with the last full backup. Every backup session is arranged so that it may be restored with no further ado. But airbackup has even more to offer. The Local SpeedKick adds an extra safety net, as the feature creates a local backup, which synchronizes with the cloud-based airbackup data. This way, users can access their backed up data even when their internet connection is down. But it also generates additional speed as it allows users to restore their data locally. To round matters off: airbackup runs a data center in Düsseldorf, Germany, and certainly complies with European data privacy standards.